WASHINGTON (CNS) -- The annual poll of Americans' views on abortion sponsored by the Knights of Columbus indicates that more than three-fourths continue to want "significant restrictions" on abortion access, even though a slim majority describe themselves as "pro-choice." The poll, conducted by the Marist Institute for Public Opinion, surveyed 1,267 adults in December and another 1,350 adults earlier this month. Seventy-six percent indicated support for "significant" limits, with 92 percent of those who felt that way identifying as Republicans, and 61 percent as Democrats. Fifty-one percent of respondents overall called themselves "pro-choice." "I think what you see that's encouraging is that this is not, strictly speaking, a partisan issue," said Andrew Walther, vice president of communications for the Knights of Columbus, at a Jan. 17 news conference. "The labels (pro-choice and pro-life) don't quite tell the full story." "The labels (pro-choice and pro-life) don't quite tell the full story." "Policy change," he observed, "could be done with the support of three-quarters of the American people." 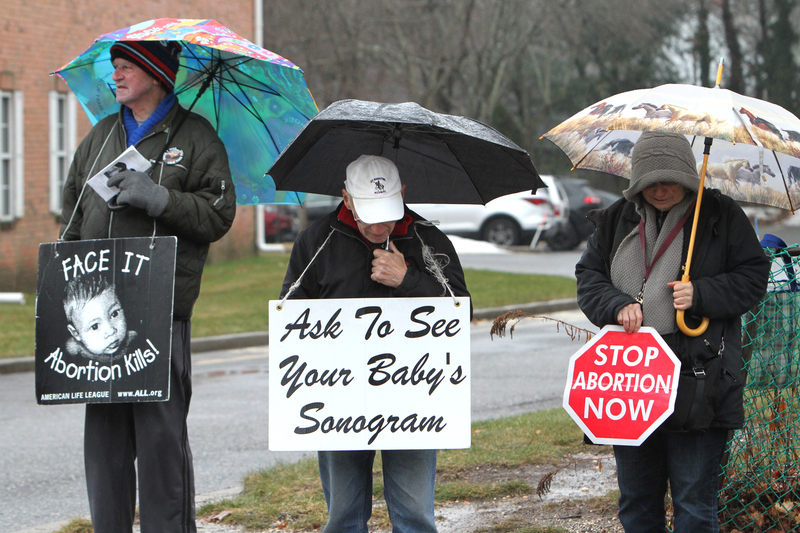 Sixty-three percent indicated they support a ban on abortion after 20 weeks of pregnancy. "That's up a bit from last year," Walther said. The Senate is expected to vote soon on a 20-week ban called the Pain-Capable Unborn Child Protection Act, which passed the House last year. The bill is not expected to pass in the Senate, since it will require at least 60 votes. But as a symbol to the pro-life movement, the vote could be held as early as Jan. 19 to coincide with the annual March for Life, which is held to mark the anniversary of the Supreme Court's 1973 Roe v. Wade and Doe v. Bolton decisions, which legalized abortion. President Donald Trump, who will address the pre-march rally via a satellite hookup from the White House Rose Garden, has said that if the Senate passes the bill, he would sign it into law. Walther demurred on a question of whether the Knights are supporting Trump. "Some of the actions he's taken have tracked very well and with where the American people are." He cited Trump's 2017 expansion of the "Mexico City Policy," which requires foreign nongovernmental organizations receiving American health assistance to certify that they do not use other nongovernment funds to pay for abortions. -- A majority of respondents, 56 percent, see abortion as "morally wrong," and of those, most said they practiced a religion. The survey does not break out Catholic respondents. -- If it was considered likely that an unborn child will have a genetic disorder, more than 60 percent found abortion morally wrong. -- 52 percent thought that an abortion "did not improve a woman's life in the long run." -- 78 percent agreed that "laws can protect both a pregnant woman and the life of her unborn child." The results have a margin of error of plus or minus 2.8 percentage points for the December poll, and plus or minus 2.7 percentage points for the January poll. The Knights of Columbus have sponsored the survey annually since 2008. Polls have consistently shown about 70% would support some restrictions on access to abortion (with a smaller part of that group - perhaps 18% or so - believing abortion should always be illegal). The question is what are the appropriate restrictions, and how should social welfare and health care law be aligned with a change in abortion law. I would hope that the pro-life forces would support a broad program aimed at providing resources to mothers and children, particularly the poor. It seems that the Republicans have been cutting these resources, and intend to cut further. None of this makes any sense in the context of pro-life initiatives. Very hard to take the pro-life people seriously.